Daryl Harper said that he spotted the former Australia vice-captain repeatedly bounce the ball while fielding during a 2016 game. A match referee warned of disgraced Australian cricketers Steve Smith and David Warner “being involved in a ball-tampering incident” in the domestic Sheffield Shield in 2016, a media report said Friday. Daryl Harper said the pair were not engaging in fair play while representing New South Wales in a match against Victoria in November 2016, according to an email he sent to Cricket Australia’s match referee and umpire selection manager Simon Taufel, the Sydney Morning Herald reported. “When David Warner repeatedly bounced his returns in to (NSW wicket-keeper) Peter Nevill on the first day, the umpires appealed to Smith to support their calls for fair play,” the former Australian Test umpire reportedly wrote in the email. 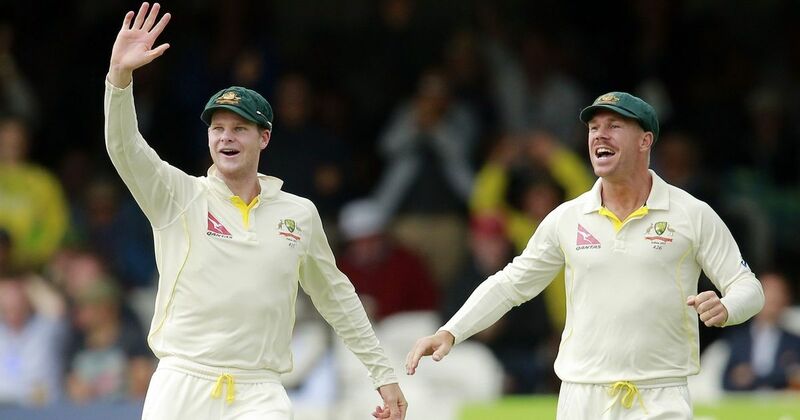 Smith and Bancroft held emotional press conferences in Australia on Thursday after returning from South Africa, while coach Darren Lehmann said he would quit after the fourth and final Test which starts Friday, despite being cleared of any involvement in the affair. David Warner is due to address the media in Sydney on Saturday.